Welcome to my blog! Pour yourself a coffee and enjoy browsing through some of my latest work. If you know what you're looking for, you can use the search bar below or feel free to browse by categories. WELCOME, AND THANKS FOR STOPPING BY! Pour yourself a coffee and enjoy browsing through some of my latest work. It’s always an honor to have one of my couples’ weddings featured on any blog, and I was particularly excited about this feature as it’s long been on my wish list to have a wedding on The Black Tie Bride! Alexa and Michael’s wedding was so much fun to photograph! 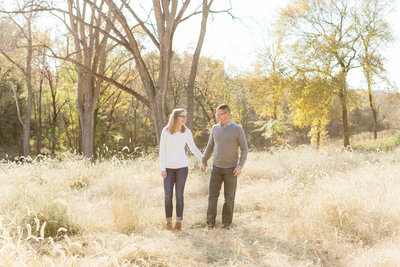 It’s every photographer’s dream to have plenty of details to shoot and to have a relaxed, sweet couple to work with. Alexa and Michael fit that dream to a tee. Alexa actually requested we cut out some other photos that day to make extra time for just her and Michael’s photos and we were able to create so many portraits during that time! We drove nearby to a beautiful timber area that looks like it’s straight out of the movies and then met back with the bridal party at a local park for the rest of the photos. 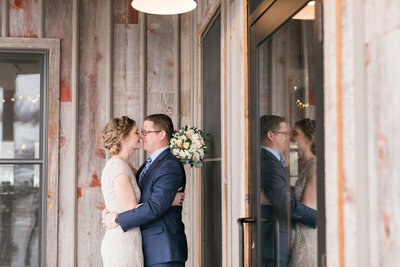 But aside from all that natural beauty, the real stunner came at the reception when Alexa’s parents completely rehauled the look of her dad’s shop to turn it into the most elegant reception space she could’ve ever dreamed of. 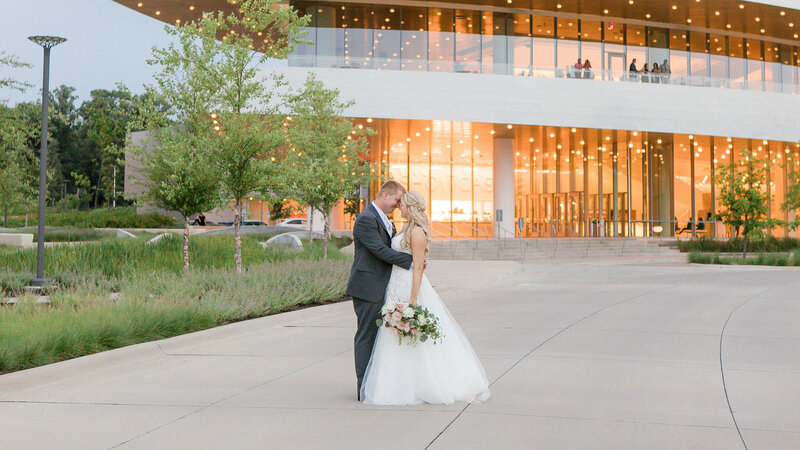 Just two days before their first anniversary, Melanie & Dan got to relive their wedding all over again with a beautiful feature on Corridor Wedding Guide. Their wedding was visually beautiful, but also a beautiful culmination of their upbringings, a blending of a tradition Hindu ceremony with a traditional Christian ceremony. This couple was and has continued to be so sweet and kind and it was such a honor to document their wedding. I always think a cooperative bridal party deserves way more props than they get. The bride and groom, of course, are going to weather the heat or rain or sun or whatever weather elements get thrown their way because it’s their wedding. But a bridal party who puts up with all of that as well gets credit. They get credit for showing up, smiling, and not complaining because they love their friends who are getting married. 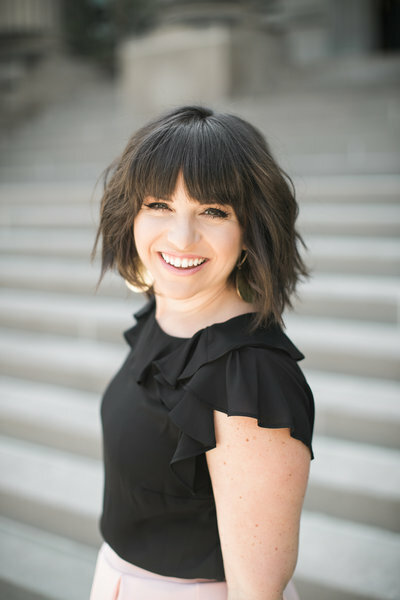 We are in June and already hitting the high-90s with intense humidity so the next few months are going to prove challenging for many more bridal parties, but I am looking forward to meeting so many people who adore their friends more than the discomfort of summer weddings in Iowa. 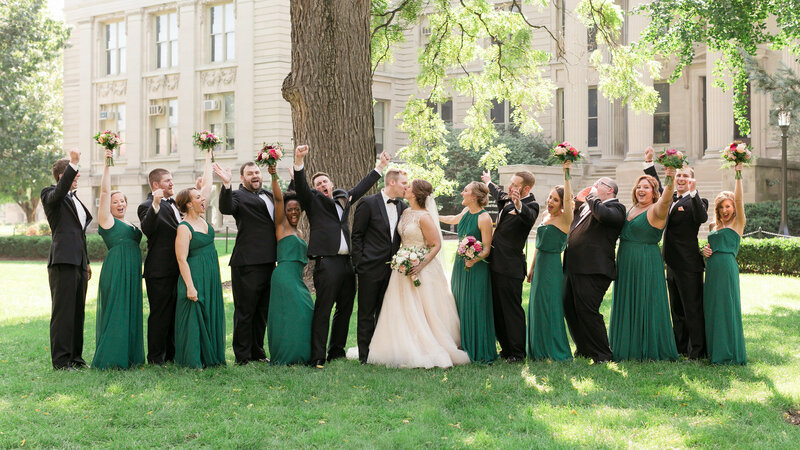 Caitlin & Brad’s gorgeous wedding from last July is being featured today on Borrowed & Blue and it’s so much fun to look through some of my favorite images again! It’s been a year since their beautiful wedding day and I love reliving it through their photos. Chanelle & Nik had what might be described as a magical wedding. They were married in her childhood backyard, under the towering tree she used to climb as a kid. The yard backs up to Lake Keomah State Park so the views were breathtaking, with the guests parking in the state park and being ferried over to the ceremony by boat. I have a personal love of ballgown dresses and the color of blush pink so when I saw Chanelle’s blush pink ballgown wedding dress, it took my breath away. Perhaps one of the loveliest things to happen was Chanelle making the rain-call. It was supposed to rain that day. The forecast was gloomy and rain lurked behind every cloud. A few hours before the ceremony, she had to call it and she decided they’d go ahead with the plan, outside in the backyard. We made it through the entire ceremony without a drop and then for just a few minutes afterwards, it lightly rained, then the sun came out and all that gloominess dissipated. 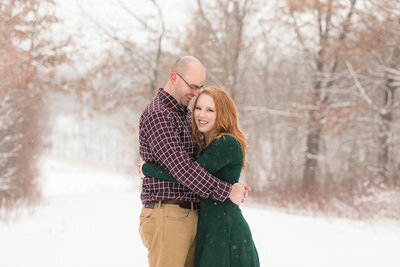 I’m so honored to have their wedding featured over on Blushing Bells Iowa today! Last summer I had the honor of photographing Melanie & Dan’s wedding. It was such a unique celebration of marriage with their combination of traditional American and traditional Hindu ceremonies. Their wedding day was bursting with colors: bright pinks, citrus oranges, deep reds, and shimmering golds! It was a feast for the eyes. In the time since, their wedding has been featured four times (on Maharani Weddings, Baubles & Bowties, and The Big Fat Indian Wedding) and today on Borrowed & Blue. This wedding day was such a wonderful collaboration of many talented artists and I’m so glad to not only work with such talent, but to see my clients being so well treated and loved by everyone they have chosen to work with. 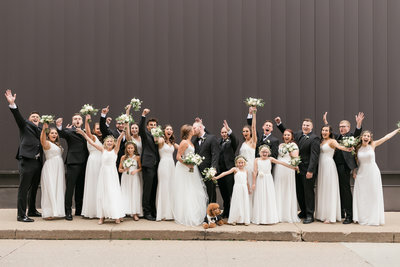 Enjoy another look back at this beautiful wedding day. 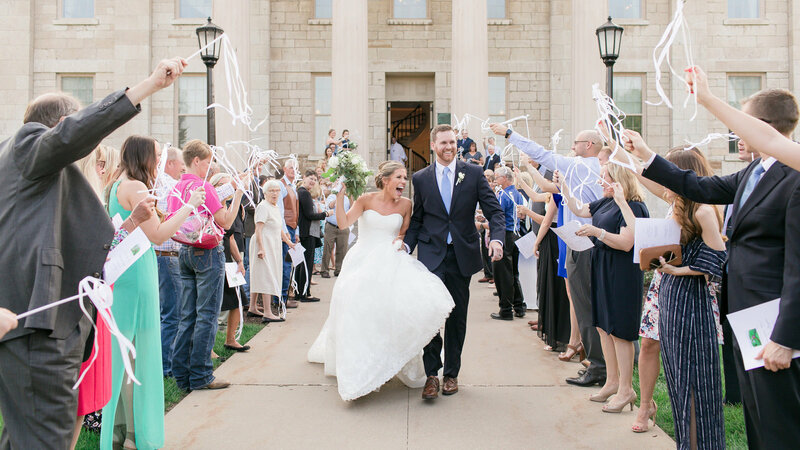 It’s been a gloomy & unusually cold few days here in Iowa so it’s hard to remember how hot it actually was at Sara & Corey’s summer wedding last year, but I do recall feeling the need to shower every few minutes. 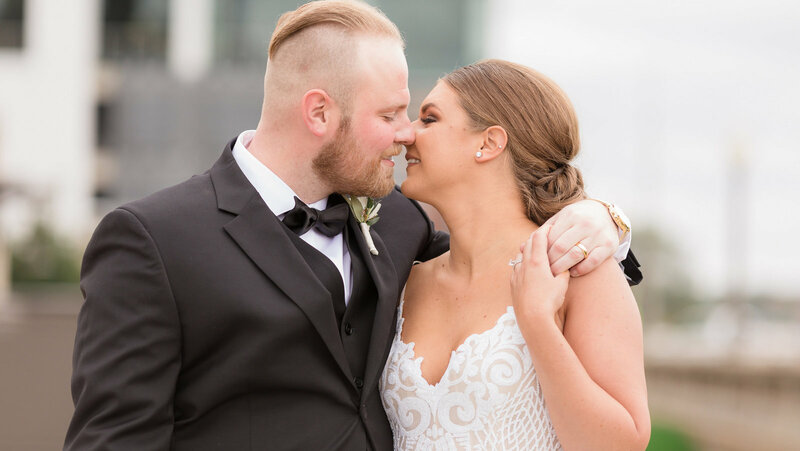 Despite the heat of the day, their ceremony was held on the Hotel Vetro rooftop patio and it was absolutely perfect. Right before the ceremony began, we got some delicious cloud coverage, which helped ease the heat and a slight breeze ruffled through the rows. As for photos, I found a spot on the University of Iowa campus that would provide shade during the high heat as well as a slight wind tunnel due to the positioning of the buildings. (I use that spot a lot in hot weather for that specific reason!) With that combination of shade and a breeze, we all made it; just a few drops of sweat! 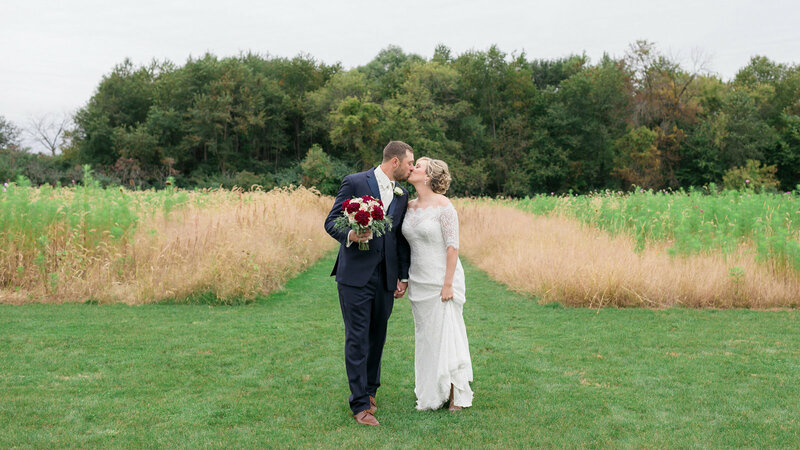 Their wedding was gorgeous with the most lovely palette of navy, blush pink, and soft gray. 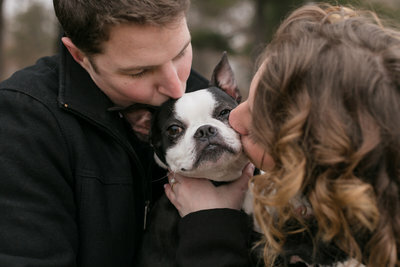 Get inspired over at Blushing Bells today, where their wedding is being featured!